A wide choice of indoor and outdoor living space makes Villa Amanzi an appealing choice for a large family or group of friends who want some quiet ‘me’ time as well as a place to party - and there’s always help at hand when you need it. The views are inspiring from almost every room. There are a lot of stairs at Villa Amanzi (although with a lift from the top to middle floor, the villa is still accessible for less mobile guests). For parents with very young children, this also means there are a few hazards to watch out for. House is beautiful. Service is good, thank you. We had a lovely time at Villa Amanzi. The staff keep the villa perfect and the chef's cooking is great. We loved the Pa-Nang curry, we had it 3 times. Everything was well organized. Thank you so much! Amanzi Villa is amazing, perfect location, design and staff. Here is our first time in Thailand and we really enjoy it. 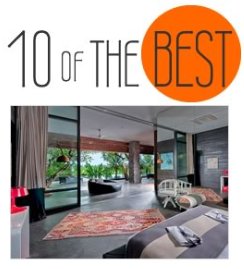 This truly amazing place 10 stars - well done Sasha a staff. You took care of us very well. The painting/art work on the wall next to the steamer is an amazing feature, very Special. Everything has been thought out beautifully. We will definitely come back 100%. The house exceed of expectation. Great service and great food. We felt like royalty with the amazing Thai service. Would recommend to anyone looking for a holiday in Phuket. Our family had a great time and look forward to coming back. Fabulous home. We enjoyed our stayed thoroughly, staff were amazing and took care of all our endless needs and we will be back. Great Stay at Villa Amanzi. Gai is an amazing chef, pool, staff and villa was outstanding. We will be back. My wife and I had a wonderful time at Villa Amanzi Kata for her 40th Birthday. Excellent service from Sasha and her staff. The villa was beautiful and well cleaned. Excellent rooms and swimming pool. Our first time in Thailand but we will return and bring friends. A fantastic trip for me and all friends. Outstanding for all services, perfect and peaceful villa. All special for a great time. Many thanks to the team for the perfect holiday. Service is very good. I hope to come here again. Thank you for your professional service. Thanks to all the staff of the villa. Our stay at Amanzi was wonderful and a highlight in our tour of Thailand. 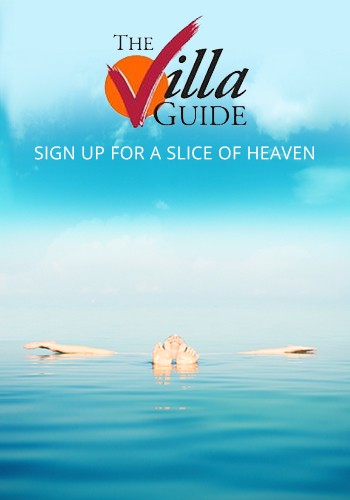 The villa is gorgeous with amazing ambiance as well as having warm and accommodating staff. We had our meals prepared and our meals were delicious. We couldn't have picked a better place to stay in Phuket. Many thanks to the staff and property manager whom made the stay as relaxing and peaceful as possible. based on 12 user reviews. Settling quickly into the relaxed and cosseted ambiance of Villa Amanzi, we soon found our own favourite places to relax and enjoy the private facilities of this well-laid-out villa (of which there are many). 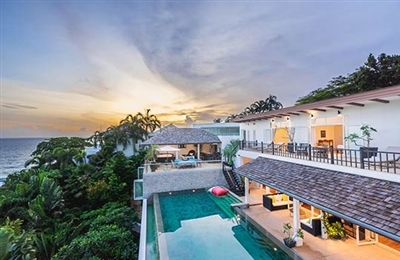 Amanzi is an extremely comfortable and easy base from which to make the most of Phuket's tropical charms.